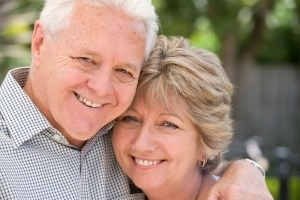 Are You in Lakeland, FL and Interested in Affordable Dentures? If you have been considering a solution to large scale tooth replacement and looking to keep a low cost of dentures, then you are in the best hands by consulting our dental office. A denture, whether it be complete or partial, is an appliance that is constructed to fit inside your mouth- replacing the natural teeth and providing support for lips and cheeks. The appliance will replace the previous function of the teeth in providing the ability to chew and speak effectively, and will also improve the aesthetics of your smile. Affordable dentures are our specialty. This is the process we commonly do in our office. All teeth being considered for removal are extracted. The immediate denture is then put into place, providing you with a temporary solution to process food, continue speaking normally, and a cover that will allow the gums and tissue under the teeth to heal. Permanent dentures are fabricated in the laboratory. Test day, you come in to ensure that the new dentures fit comfortably. Like all replacement options and even natural teeth, dentures will experience natural wear and tear and will need to be maintained or repaired in order to keep your bite aligned and smile looking bright. You can’t do teeth whitening on dentures…so make sure to take care of them! Don’t hesitate to come in for denture repair. Not all of our clients are candidates for dentures. Dentures are a solution to cover a majority or all of the upper or lower set of teeth. Low cost dental teeth implants are a great solution for a single missing tooth. It is a permanent replacement and can look just as good, if not better, than your pre-existing tooth. The cost for dental implants is less than denture implants and might be covered if you have dental insurance. The cost of dental implants is often overlooked by many of our patients who simply want to replace a gap in their smile. When we do an implant tooth for a patient, we are extremely confident that the implants will last for 10 to 15 years at a minimum. Dental implants are a great value, and is only for those patients who have experienced most to full tooth loss. If the majority of a tooth still remains, a crown might be the best solution for you. 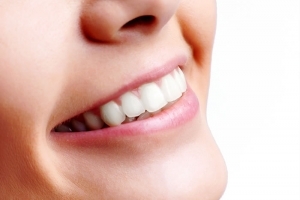 Or if looking for a more temporary solution, a dental bridge might be the best option. Root canal to treat infected and damaged teeth. Abscessed tooth treatment to deal with infections at the root of a tooth. Emergency tooth extraction cost reductions for those traumatic events where a tooth must be removed. For all of our more invasive and complex procedures we implement a sedation dentistry treatment. Sleep dentistry allows the patients to remove all anxiety and not have to deal with the suffering of an invasive painful treatment. For more info on restorative works or to schedule a complimentary consultation, please do not hesitate in reaching out to us. There is an appointment request form available for your convenience on our “About Us” page.